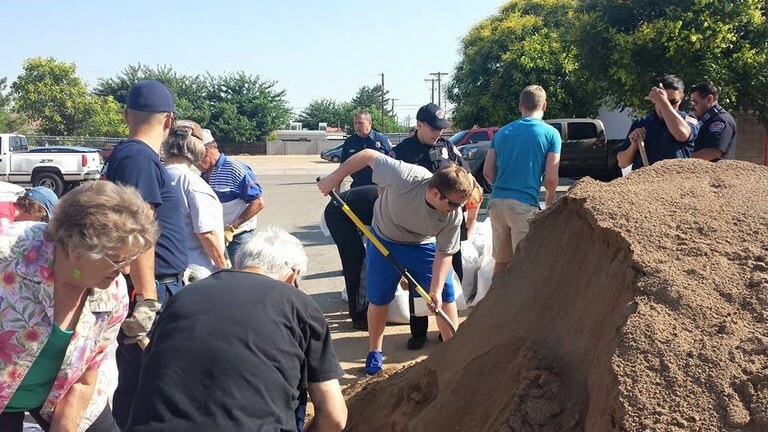 On Saturday, June 27, 2015, Councilor Gibson asked for folks to meet her at Fire Station 19 to help fill up and deliver sand bags to the Pueblo Alto Neighborhood. Over 20 people showed up to help, including AFD, APD, APOA, and folks from both Pueblo Alto and McKinley Neighborhood Associations. Over 250 sand bags were filled and delivered to residents in need. Thank you to all who helped!